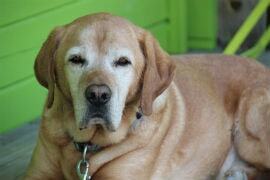 Senior pet care is an important part of our commitment to the life of your pet. Advances in healthcare and nutrition are allowing people to live longer lives and pet owners expect the same high quality care for their four-legged family members as well. Pets of different sizes and breeds age differently so at My Pet’s Vet we keep you advised of how your pet is aging and what steps you can take to maintain an excellent quality of life for your pet as it goes the different life stages.Annual examinations and regular checkups allow us to not only catch problems early, but also advise you on how to best prevent or delay a number of common aging issues. Nutrition plays a vital role in healthy aging for pets just as it does in people and nutritional counseling is something we focus on at My Pet’s Vet. 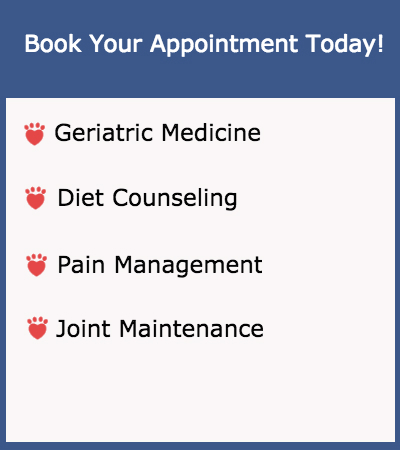 We can also advise on arthritis pain management, the use of high quality supplements, dental care and when to start doing annual geriatric bloodwork just like our doctors do for us. It is very gratifying to us when clients tell us that their older pet is suddenly acting like a puppy again just because we did something as simple as taking care of a painful dental problem or helping them lose some weight. No matter what the issue, you can be sure that the staff at My Pet’s Vet are committed to giving the best advice and tools to allow your pet to live life to the fullest because we believe that “Pets Are Family Too”!